David Beatty joined the Victorian Navy in 1884. His early career therefore occurred at a time of great technological, tactical and strategic challenges to the Royal Navy. In 1910 he was promoted to Rear Admiral, and from 1912 served as Naval Secretary to Winston Churchill, the First Lord of the Admiralty. This role in turn led to his command of the Battle Cruiser Squadron, with which he entered the war. The early years of the war saw much frustration. There was also disappointment at the failure to bring about a decisive action with the German navy. The Battle of Jutland (May 1916) led to his often quoted comment, ‘There seems to be something wrong with our bloody ships today’. Attempts to learn lessons from the battle – and attribute blame – would long outlast the war. In November 1916, Beatty was appointed Commander-in-Chief, with Jellicoe, his predecessor in this position, becoming First Sea Lord. His main concerns in this position included solving the problems revealed by Jutland, countering the U-boat threat, maintaining morale in the Royal Navy and prosecuting the increasingly effective blockade of Germany. For Beatty, the war ended triumphantly, with his receiving the surrender of the German fleet. In 1919, he became First Sea Lord and was promoted to Admiral of the Fleet and he retired in 1927. This second volume examines his time as First Sea Lord, including the long-running controversy over the Battle of Jutland, battles over resources and the fateful issue of the Singapore base. Beatty retired in 1927. The documents selected for this second volume are from the Beatty Papers (National Maritime Museum); Admiralty, Cabinet and Chiefs of Staff papers from the National Archive; the diaries and papers of various politicians and senior naval officers with whom Beatty worked as First Sea Lord; papers from the archive of Churchill College, Cambridge; and papers in the collection of Stephen Roskill. 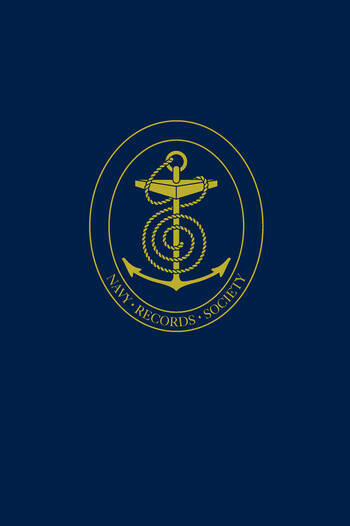 There is some overlap with other Navy Records Society volumes, including Volume 111: The Jellicoe Papers, Volume II, edited by A Temple-Patterson (1968); Volume 121: The Keyes Papers, Volume II, ed. P G Halpern (1980); Volume 130: Anglo-American Naval Relations 1917-1919, ed. M Simpson (1991); Volume 136: Papers Relating to the Collective Naval Defence of Empire, 1900-1940, ed. N Tracy (1997). PART I From Grand Fleet to Admiralty, Oct 1918-1919, PART II First Sea Lord: Major Prolbems Emerge Nov 1919-1922 PART III Politics and Naval Policy Nov 1992-1927, PART IV The Singapore Base 1921-1926, PART V The Jutland Controversy 1916-1927. Indexes. Brian Ranft was born 14 July 1917 and educated at Manchester Grammar School and Balliol College Oxford. During World War II he served in the Royal Artillery, rising to the rank of major. He completed his D. Phil. At Oxford in 1967 with a thesis on The Naval Defence of British Sea-borne Trade, 1860 – 1905. After the war he joined the staff of the Royal Naval College, Greenwich rising to become Professor of History and International Affairs. He was also a visiting fellow at King’s College, London, where he taught naval history to several generations of postgraduate students. He was appointed Visiting Professor there in 1982. He died on 14 April 2001.